Racine (Wisconsin): Whitman Publishing Company, (1955). [Sold] 30.4 x 26.5 cm. In original stiff pictorial folder. 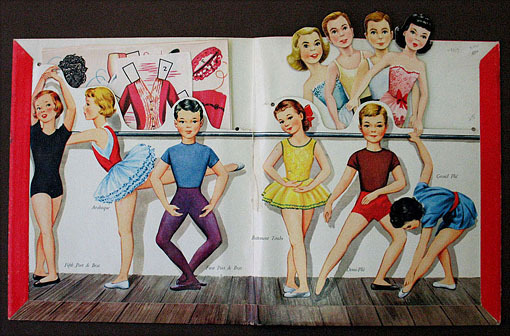 Containing 4 paper dolls (2boys and 2girls) and 5 sheets of uncut costumes (plus a few outfits already cut).